Hi everyone! This post is going to be about a few things that I'm loving at the moment and then maybe some things that I got in the post. 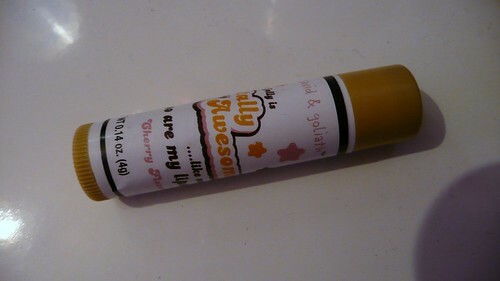 David & Goliath Totally Awesome lip jelly. I actually quite like this even though it was cheap. 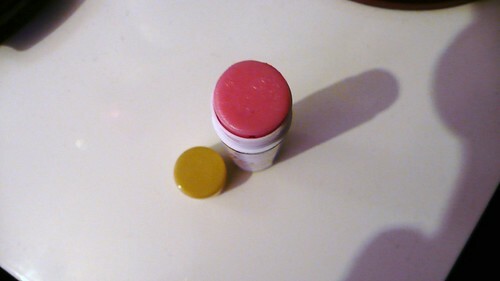 Ok, it's supposed to be cherry flavoured and I can't taste anything, but the formula is rather nice and my lips feel lovely! I've been a massive fan of Assassins Creed games since the first one came out and when I saw that this game had come in at work, I had to get it. 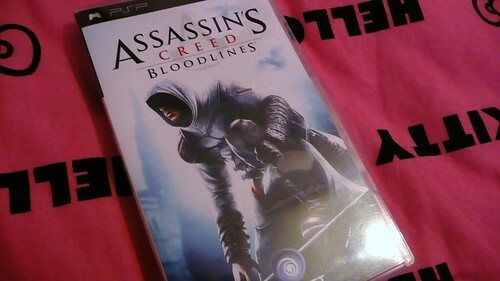 Sure the graphics on the PSP aren't that great and the story doesn't seem like the best, but it's Assassins Creed and it'll tide me over until Brotherhood comes out in November! I've used a few things like this from Lush in the past, but this seems to be working better than others. 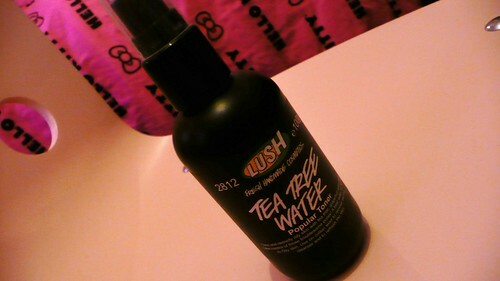 The tea tree helps blemishes and I've noticed a massive difference in my blemishes in just a few days! Thumbs up! 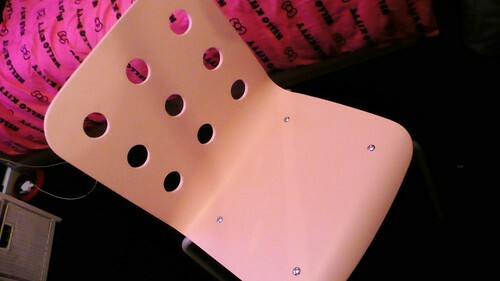 I got this new chair the other day from IKEA. It's a beautiful light baby pink and it's soooo comfortable. 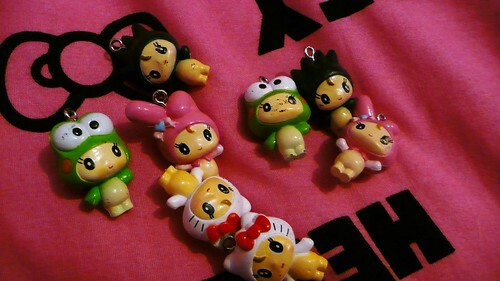 I got these little charms from eBay. They're little babies dressed as different Sanrio characters. As you can see, some of the detail is beyond terrible, but they were cheap and the ones that are painted ok are pretty cute! 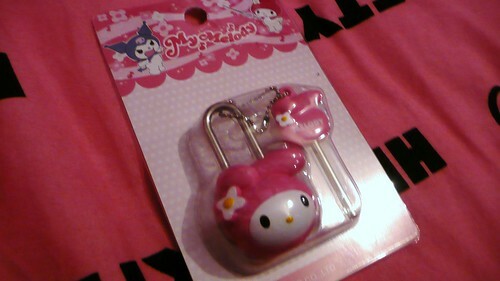 My Melody padlock and key. This is cuuuuuuute. It's not a substantial lock, but it's cute so well worth the £3 I paid for it! I also added a new page to this site. If you click the 'Blog Sale' link on the top right hand side you'll see some items that I'm selling. I'll up updating it all the time so go and check it out! Ziffit or Music Magpie - Which is worth your time? A comprehensive review. Kat Von D in Debenhams in the UK! © Sarah Cutts. Powered by Blogger.